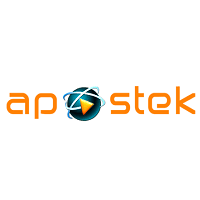 Apostek Software LLP scheduled Off Campus Drive for B.E/B.Tech/M.E/M.Tech graduates for the role of Software Developer & Software Developer Intern through eLitmus.The detailed eligibility and application process of Apostek Off Campus Drive details are given in below. Knowledge of core computer sciences concepts, limited use and/or application of basic engineering principles. Interested and Eligible candidates apply this drive in online latest by 10 January 2019 and attend drive at Bangalore on 13 January 2019.